Normally we make New England-style lobster rolls, but this year I wanted to mix it up a bit with a lobster pot pie, and luckily my friends were up for it! My friend Alaina brought some nibbles for us to enjoy while we prepared the lobster. 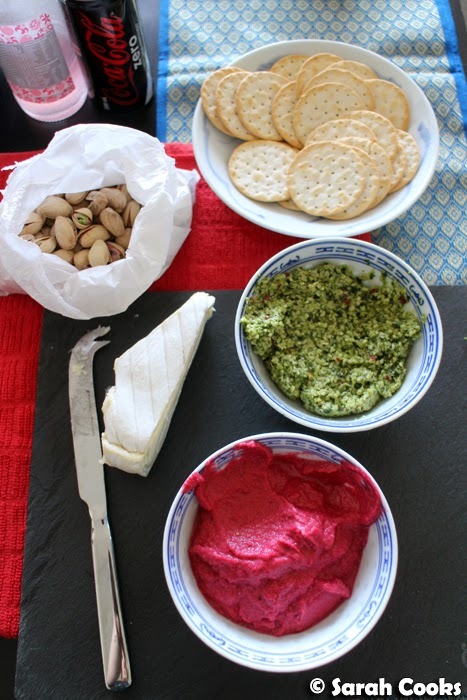 There was delicious cheese (Buche D'Affinois), some addictive roasted pistachios and fab dips from Bill's Farm in the Vic market. I loved the green one - super garlicky! 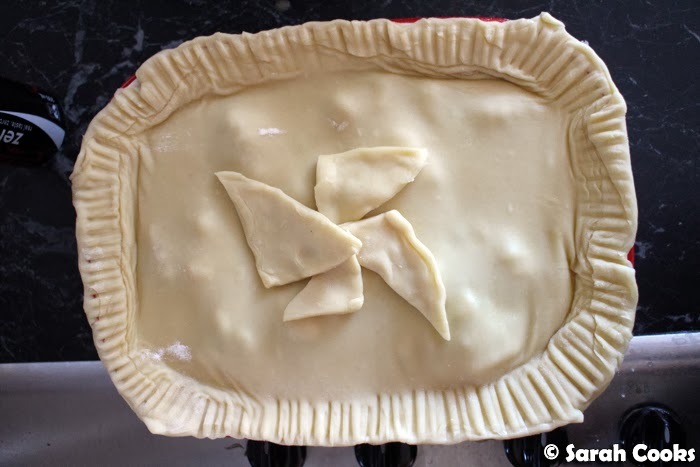 So, here's what Adrian and I did to make the Lobster Pot Pie. We just winged it, so I won't be writing a full recipe with weights and measures, but I'll let you know all the steps we took in case you feel like making something similar at home! 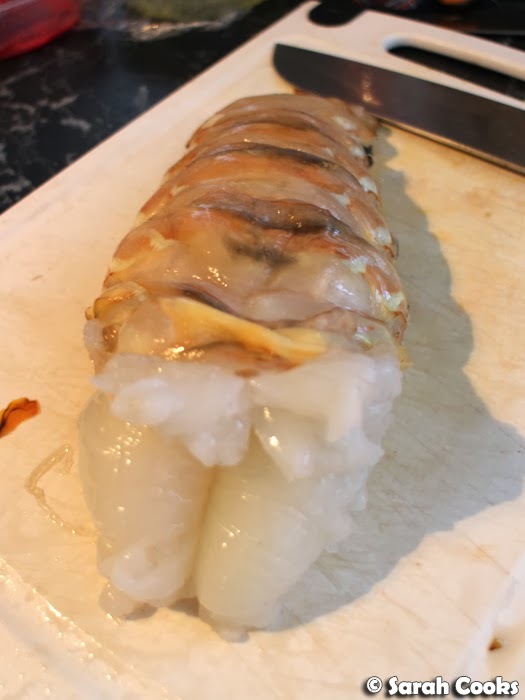 The first step was to cut the shell open and gently remove the tail meat. 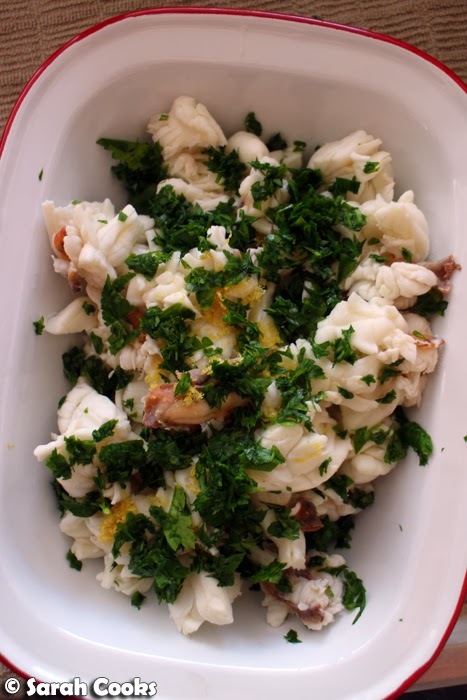 We chopped up the shell, and placed it in a saucepan with some water, chopped leek, carrots, bay leaves, black peppercorns, parsley stalks and lemon juice, and boiled it for about ten minutes to make a simple court bouillon. 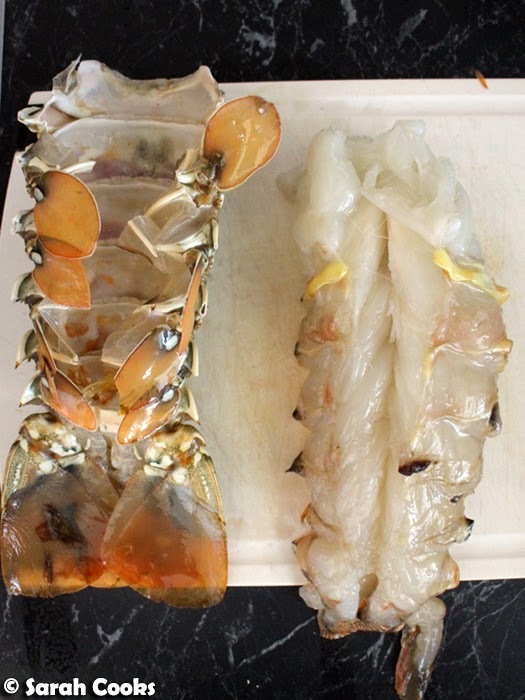 While the stock was cooking, we chopped up the lobster tail into generous chunks. 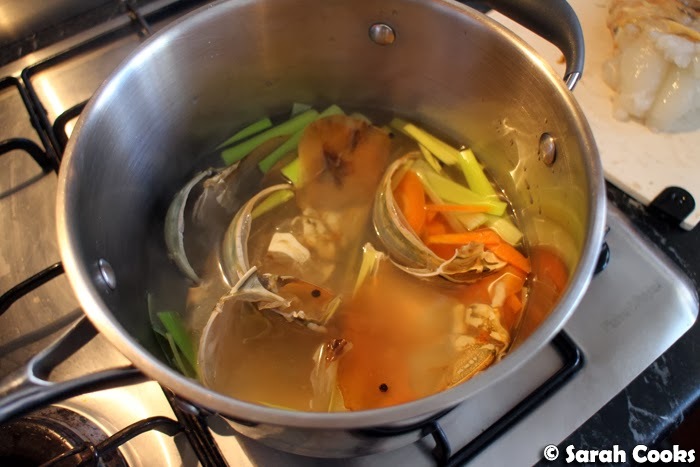 Once the stock was ready, we strained out all the bits, then cooked the lobster meat very briefly in the court bouillon. 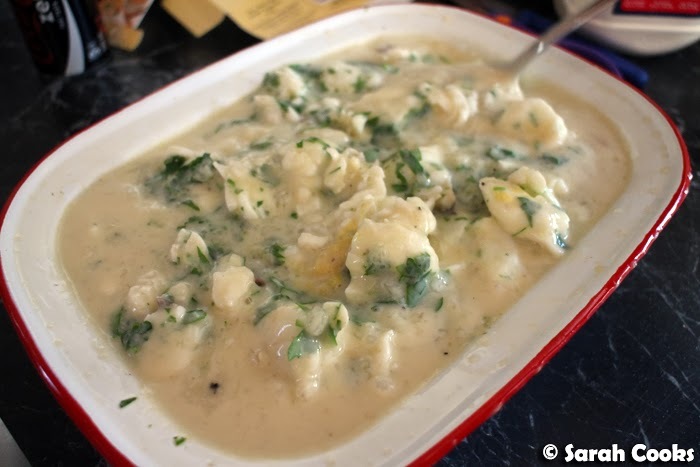 The next step was to make a white sauce - we sauteed more chopped leeks in butter, then made a roux by whisking in flour and a teaspoon of Dijon mustard. We added Sancerre wine and more of the lobster stock to up make the sauce, and added a little potato flour to thicken it. (It actually added a nice potato-ey flavour!) And in the end we stirred in a generous amount of cream. ... and Adrian placed the pastry lid on, crimping the sides with a fork. Ta-dah! Wow - the pie was so, so good! 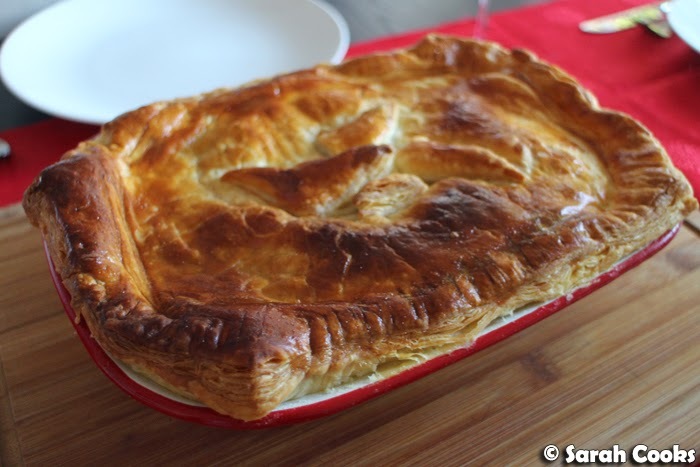 The flaky, buttery pastry, the generous chunks of lobster, the rich seafoody flavour of the sauce. A very, very decadent Christmastime treat! 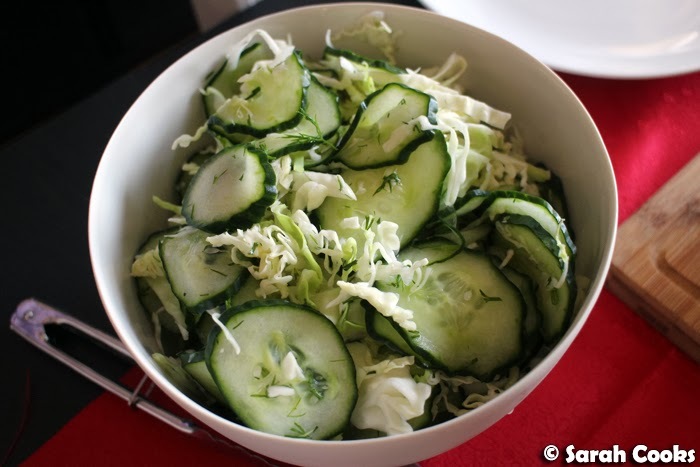 Knowing that the pie would be very rich, I had made a simple refreshing salad of shredded cabbage and cucumber with dill, white vinegar, salt and sugar. (Recipe from the Smitten Kitchen cookbook!) 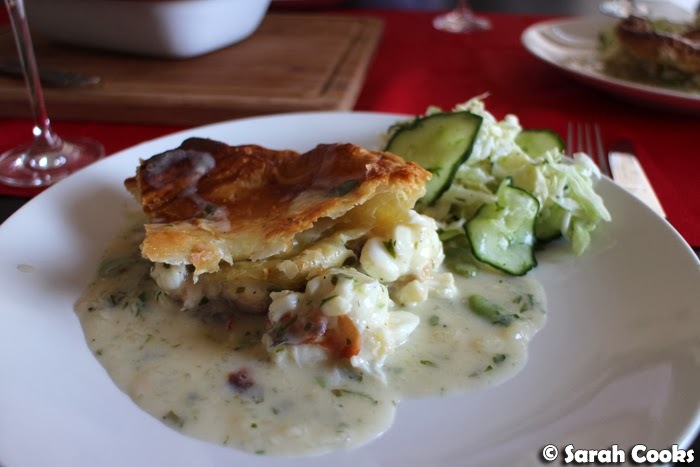 It was a good salad, but people were (understandably) a lot more excited by the lobster pie! 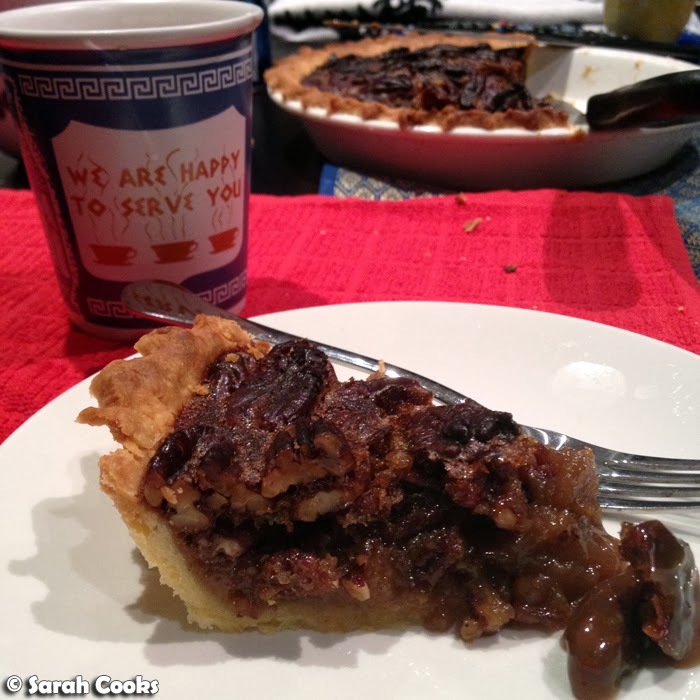 Dessert was a maple pecan pie (because we really needed more pastry!) with a little crème fraîche. I made up the recipe myself and I'm pleased to say it worked really well, so I'll be blogging the recipe soon. Yay! A triple-pie party is a Good Party. 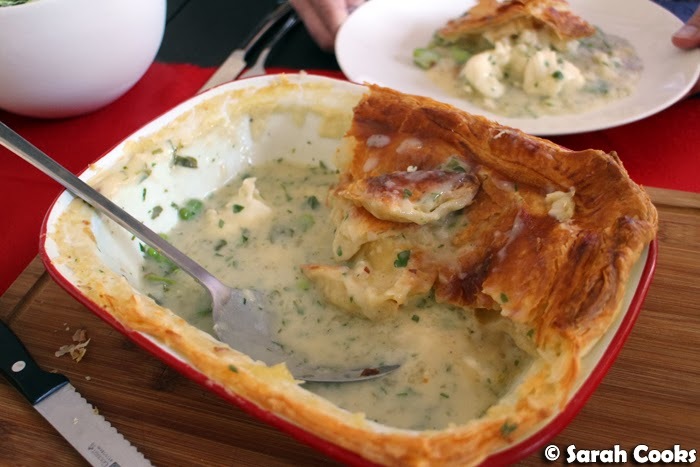 Wow you already blogged about it :) I don't think I've ever had a lobster pie before but it sure sounds and looks so amazing!!! omg such an awesome night. I'm totally lusting over that maple pecan pie too. Can't wait for the recipe. Hope you have a very happy new year Sarah! There ain't no party like a pie party! The pot pie looks delicious. I bet that lobster/cream mix would go great in a bread bowl as well! Now that is one hell of a party!! love it!